Material node that implements separate Weapon FOV for FPP/FPS games. 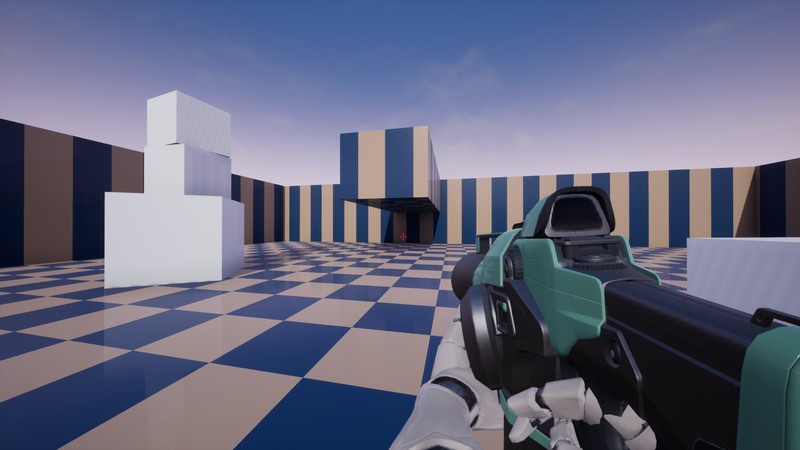 Weapon FOV is an advanced and very useful material node that solves a lot of issues related to the first-person character. This package will take your FPP game to industry standards like Shadow Warrior, HL2, Battlefield, Dying Light and much more without any noticeable additional cost. It is just one node in material calculated per vertex so implementation is very fast and you don’t need to use any additional render target or separate pass to fix problems with a weapon. Separate weapon FOV: You can set a custom field of view per weapon. This fixes the weapon stretching when changing the game FOV. Useful for implementing zoom effect and calibrating weapon size in the screen independently to the camera. Weapon depth priority: Weapon scale in camera Z axis (depth). This feature fixes the intersection of weapons with walls. Player capsule radius can be smaller and the weapons can be rendered over the environment. Near plane clipping: Modify near clip plane to see more/less of mesh in the camera. Weapon transform: allow to apply a custom position of the weapon in camera space. Effect blending: Implements transition between FOV space and world space based on the distance from the camera. Useful for projectiles and character body that is standing on the ground. Can be customized per weapon or controlled in global material parameter collection. Weapon FOV 65, camera FOV 130. Weapon FOV is a package with only two nodes and one material parameter collection. Open material that should be rendered in special weapon FOV mode. If you have “Use Material attributes = true” in the material then put MatLayerBlend_WeaponFOV material node before the final node in the chain. If you have “Use Material attributes = false” in the material then put MF_weaponFov material node before the final node in the chain. Set the parameters that you need to be set per material. All parameters not defined in the material will be read from the MP_WeaponFOV parameter collection. Weapon FOV Custom field of view per weapon. This fixes the weapon stretching when changing the game FOV. Useful for implementing zoom effect and calibrating weapon size in the screen independently to the camera. Depth Scale Weapon scale in camera Z axis (depth). This feature fixes the intersection of weapons with walls. Player capsule radius can be smaller and the weapons can be rendered over the environment. ClipDistance Modify near clip plane to see more/less of mesh in the camera. Blend Effect Bending between enabled(1.0) and disabled(0.0) effect. Weapon Offset Transformation of the weapon the camera space.